If you have experienced damage to your residence due a storm, or because of some other reason, you obviously will want to get your home repaired appropriately. However, because you are undertaking work at your residence, you may also be considering undertaking some other home improvement work on the property. There is a myriad of different types of home improvement projects that you can undertake on your residence. Your could undertake any number of improvement projects on the interior of your home. In the alternative, you could embark on exterior projects, including some that can optimize the curb appeal of your home. There some more simple, less costly exterior home improvement projects that can enhance the exterior of your residence. Indeed, there are five home improvement projects that can improve the curb appeal of your residence. One of the quickest and least expensive ways in which you can up the curb appeal of your home is to give the exterior a fresh coat of paint. IN many ways, it is the condition of the exterior walls of your residence that garner the most attention. This includes guests to your residence, your neighbors, passersby, and potential buyers, if you are considering putting your home on the market. If you are a person who enjoys do-it-yourself projects, painting the exterior of your home is one of the easiest to undertake and one of the most reasonably priced DIY endeavors. On the other hand, if you want to hire a professional to deal with this task, this type of project represents one of the more affordable one in which you can retain professional assistance. If your residence is like many homes, your lawn may not be in the best possible condition. Your lawn may have brown patches or a hearty crop of crab grass or even weeds. Another relatively simple project you can undertake to improve the curb appeal of your home is to take on and correct issues with the lawn. Getting the lawn back up to par usually is not a costly endeavor. Moreover, with proper instruction, it is also something you can do on your own. A more extensive, and a bit more expensive, project you can undertake to enhance the curb appeal of your home is repairing the driveway. Although cracks on a driveway very well may be limited to that surface alone, and not extend to the foundation or elsewhere at the premises, a driveway in need of repair sends a message that a house may have major issues. Addressing a driveway problem is crucial if you want to put your home on the market for sale. There are very affordable, and easy to install, outdoor lighting options available to you. Many options can be undertaken on a DIY basis and with no outside assistance. This include outdoor lighting alternatives that are powered by solar energy. You need not worry about laying electrical cord to power up this type of outdoor lighting. You can have a fresh outdoor lighting scheme up and lit in not time at all. A fifth step you can take to improve the curb appeal of your home is to add a flower bed, or some other vegetation. A flower bed can add a vibrant touch to the landscaping of your residence. In addition, planting and maintaining a garden has some other benefits as well. For example, many people find tending a garden gratifying and a solid way of managing stress. In the final analysis, there are three primary reasons why you might feel motivated to enhance the curb appeal of your home. You can satisfy any one, or all, of these objectives by undertaken one, two, or even all of the suggestions contained in this article. The three primary objectives of enhancing the curb appeal of your home is to make it more inviting for you and your family. After all, your home is where you spend more of your time. The second primary reason for upping the curb appeal of your home is to make your residence a neighborhood showplace. If you are like most people, you want your home to shine when contrasted with other residences on your block. 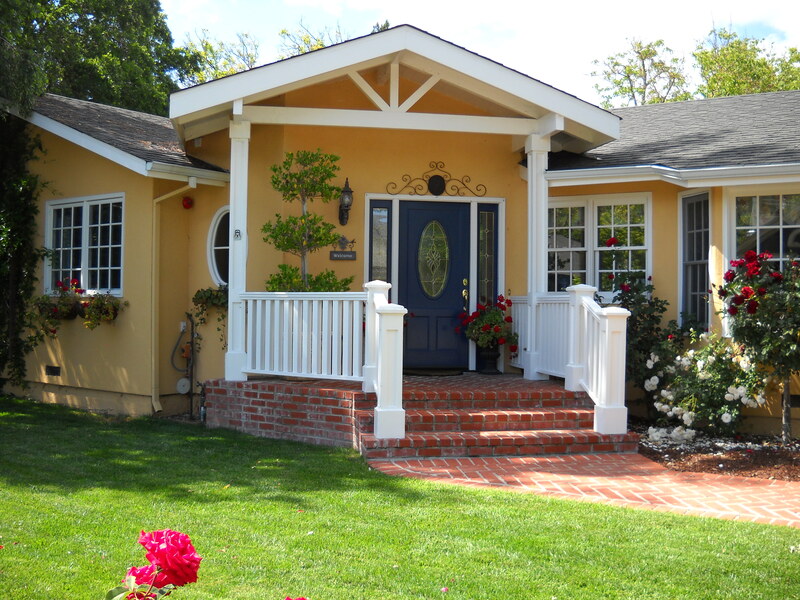 Finally, if you have your sights set on selling your home, an enhanced curb appeal is invaluable. An attractive exterior of your residence may be the primary reason why a prospective buyer schedules a walkthrough of your home.